Saab was founded as an aircraft company in 1937 although its heritage goes back to 1921 when Svenksa Aero was formed to build German aircraft under licence. In 1932 they were bought by ASJA – in English these letters stood for the Swedish Railroad Workers Air Plane Department. After several years with no commercial success, ASJA was reformed as Svenska Aeroplan AB, or SAAB. I presume it was difficult for railroad workers to build aircraft! In 1944 the company started to look at diversification and they chose car manufacturing – there was already a history of auto makers and aircraft companies sharing technology. 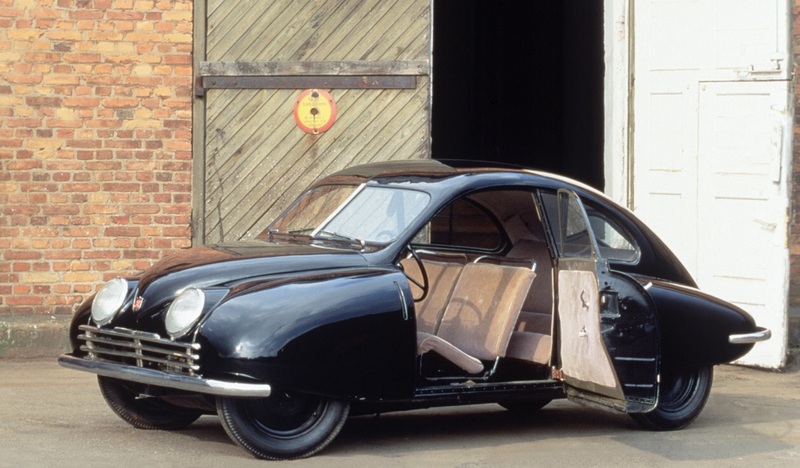 In 1949, the Saab 92 was launched, a curvy car that resembled a stretched VW Beetle. It was powered by a 2 cylinder, 2-stroke 750cc based on a DKW design. It pumped out a whopping 25hp! Saab’s rallying success started with the 92 and followed on with the 93, an upgrade with a 3-cylinder 750cc engine increasing power to 33 horses. The 93 came out in 1955. In addition to the 93, Saab built the 94, a two door sports car with the same engine, also called the Sonnett 1 and the 95, which was a wagon version of the 93 that was in production for nearly 20 years! In 1960, Saab launched the 96 to replace the 93 and this also stayed in production for 20 years, starting with the 3 cylinder before being fitted with a Ford V4 – originally from the Taunus (a Cortina shell with a different engine). In 1966 the Saab 97 appeared – this was the Mark 2 and Mark 3 Sonnett sports car that also used the Ford V4 motor. Saab has always been known as a quirky company but you can’t go past this story. In 1964 the helicopter division was trying to find a way of increasing productivity and was officially developing a hovercraft – an upside down helicopter. What came out of the factory was a …. Caravan! Do you think the workers could tell the difference? I hope so. They called it the Saabo! OK, back to useful things. The 99 arrived in 1968. It was built by Valmet in Finland – the same company who used to build Porsche Boxsters before they move that production to Austria. The 99 also started the turbo craze in Europe and used the same Triumph motor as the Dolomite, which meant that it was possible to fit the Saab turbo unit on a Dolomite – and the 16 valve Dolomite Sprint head on a Saab 99! The 99 was stretched and improved to become the 900 and the Saab 600 was basically a Lancia Delta with a different badge! Because of this, it was only sold in Scandinavia. Following on from this came the 9000 – a shared platform with FIAT that spawned the FIAT Croma, Lancia Thema and Alfa 164. Basically, the same car but a different shell. Some of the 9000s were built in Finland as well. In 1990 GM bought 50% of Saab Automobile because it was losing money hand over fist – not surprising really if you’re supposed to make a hovercraft and build a caravan! GM’s first move was to make a new 900 out of an Opel Vectra. 10 years later GM took the other 50%. GM really got into the badge-engineering lark with Saab. 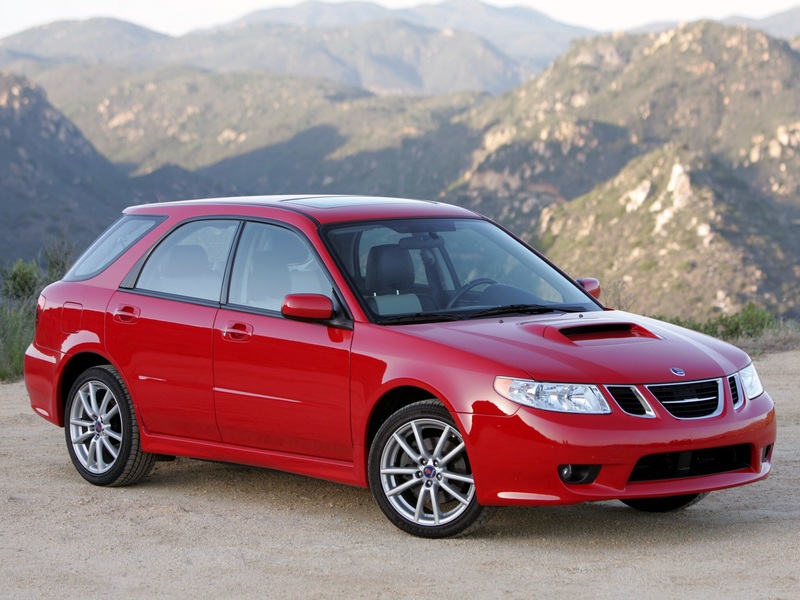 The 9-2X was a Subaru Impreza and most of the later models were based on Opel platforms with some being built at Opel and other GM factories. The 9-5, also badged as a Saturn L Series was based on an Opel and built in Germany. Saab’s were also built in a GM factory in Mexico. 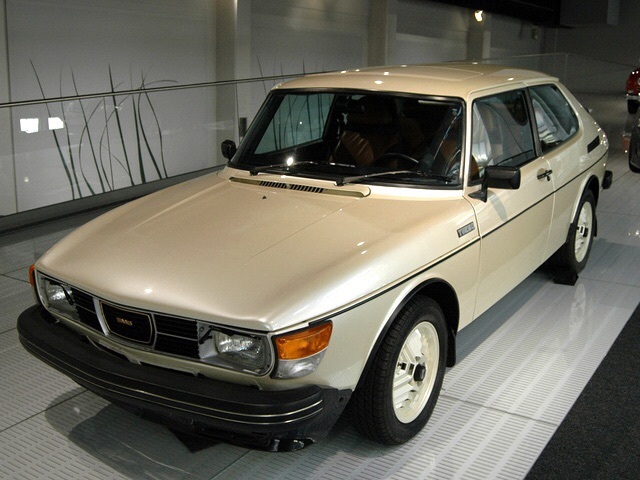 The good thing about Saab though, was the fact that they were individualistic cars and at the forefront of technology. They were the first to fit headrests, diagonally split dual braking circuits and the self-repairing impact absorbing bumpers. They were safe and reliable cars that ended their days amid chaos. With GM’s problems during the late 2000’s, Saab became one of the brands that were surplus to requirements. GM needed money and prior to their own restructuring put the Swedish company on the market. The first bite came from the supercar maker Konigsegg who along with backers from China, namely the Beijing Automotive Investment Holding Company (BAIC) and several Norwegian financiers. BAIC make cars in China, so had a real interest in the technology and tooling. The announcement was made and then Konigsegg pulled out citing difficulties working with the Swedish Government Debt Office, BAIC, GM and the European Investment Bank (EIB) who were going to provide a bridging loan. Next up was a competitor to Konigsegg: Spyker from the Netherlands. They had been an early suitor and after due diligence and another approved loan from the EIB, Spyker became the owner. However much of the tooling and rights for the older cars had already been sold to BAIC in China! This reduced the new owners ability to raise funds by selling parts for the older models. Within a year, both Spyker and Saab were in receivership with mounting debts and not much income coming in. Several suppliers forced the issue by not providing parts to the factory in Trollhattan. Production stopped and Spyker went looking for more partners – again in China, a hungry market for technology. One company, Hawtai, was initially in the picture and they soon walked away, so Spyker came to sign a deal with two other Chinese manufacturers: Youngman and Pang Da. GM then picked up their ball and walked off the pitch saying that Saab could not use licences for technology or tooling because they felt that both Chinese manufacturers would abuse the licences. This ultimately caused another collapse and Spyker subsequently lost the law suit they started because GM had the right to define who they would allow the licences to be used by. So along came NEVS – the National Electric Vehicle Sweden company. Their plan was to restart production and then convert the cars from the GM sourced engines to electric motors. Scania AB who jointly owned the badging for Saab then refused to allow them to use the old “griffin” logo. NEVS is jointly owned by NME Holdings, registered in the British Virgin Islands and operated out of Hong Kong as well as Trollhattan in Sweden and a portion is owned by the City of Qingdao in China. Production was restarted and stopped within a year citing more financial issues and to make it worse, the licence to use the Saab name was then cancelled. Any new cars to be built will now be under a different name. As I said, the Saab business seems to have sunk somewhat under chaotic buyer financing, mostly attempting to use Chinese money. Personally I think that the Swedish Government should have sat down with either Magna or Valmet, both contract assembly companies and ironed out a deal to keep the business running and the workers employed. Either company would have been a better fit with experience in manufacturing and they could have picked up the dealer networks and managed them too. A sad end to a truly innovative company. First published: 21st August 2015. Update: 10th June 2018.